The Blue Wealth Research and Acquisition team has Melbourne as one of its major markets. The city continues to outperform the nation in many of the key property market drivers and for that reason presents itself as a strong long term investment opportunity for clients. The Melbourne market is quite rare as its regional segmentation allows us to pinpoint regions and areas where we believe the best investment opportunities lie for clients. 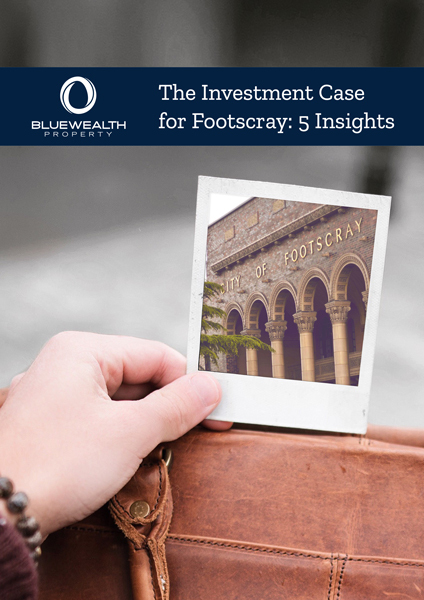 This eBook provides the key details as to why our research indicates Melbourne as Australia’s strongest property market but also zones in on Footscray, one of the city’s most exciting, evolving suburbs.